Sunderland and Swansea City are 12 spots apart in the current rankings of the English Premier League. Last season, the final results also rendered The Jacks several points better than The Black Cats. Bagging four stalamates and incurring one defeat in the past five weeks of the English top-flight football, Sunderland are neither the season’s top dogs nor lowly minnows. They are struggling on some disciplines but they also excel in other fields. Resilient, The Black Cats could do better in their subsequent matches although they need to be more cautious and extra mindful of their easily penetrable defense. A small clearance for their opposition can prove fatal to their form. The attack is quite solid, except that it sometimes suffers from the players’ erroneous decisions and clumsiness. Compared to last season, The Jacks are better off this time around. Placing fifth by the end of the fifth week of Premier League fixtures, Swansea a giving their rivals (particularly those above them) a run for their money. However, their past two matches have made them less attractive than they were in the first three weeks of the tournament. While they made landslide wins in their first three fixtures, they incurred back-to-back defeats in their two most recent ones. They rank highly in the league table but that will not change the fact that also conceded a total of six goals. Luckily, they have more goals scored than lost to brag about. 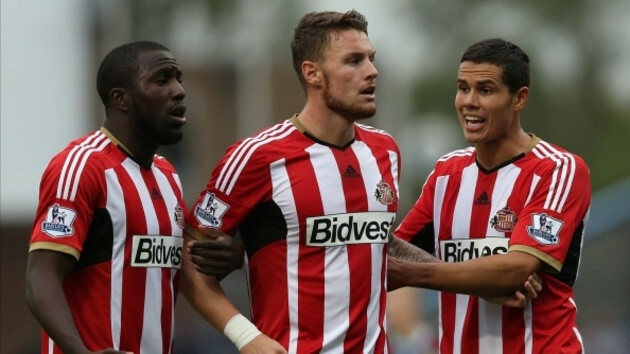 Sports betting tip: Sunderland will fire equalizers to all of Swansea’s goals.